What is a Youth Friendly Doctor and what can they do for me? Being a youth friendly doctor (YFD) means that they are better able to help you out if you have any concerns. YFDs are accessible, affordable and most importantly, everything you tell them is confidential! How can I find a Youth Friendly Doctor near me? Is it expensive to see a Youth Friendly Doctor? No! Generally most youth friendly doctors will bulk bill students. This means that the doctor sends Medicare the bill directly, so you don’t have to pay anything when you see them. The government will pay for the cost of you seeing the doctor. It’s a good idea to ask whether your doctor bulk bills students when making an appointment. Medicare is a government organisation which provides medical services to all Australian citizens. Everyone has a Medicare number – this allows doctors to bulk bill and for you to get things cheaper and claim money back when you use a range of medical services. 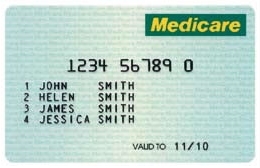 From the age of 15 you can get your own Medicare card – just visit Medicare. Getting your own Medicare card means that you don’t need to take your families Medicare card when you go see a doctor, you can take your own. This gives you more freedom if you need to see a doctor. What if I don’t have my own Medicare card and I forget to take my families one when I see a doctor? You can still see the doctor. Just tell the receptionist that you don’t have your Medicare card with you, and they can look it up on the system for you using your name and date of birth. What are health care cards for? If you have a health care card, you can get discounts on medicines and other concessions. A health care card is not the same as a Medicare card, and not everyone can get a health care card. You can check if you’re eligible on the Centrelink website.